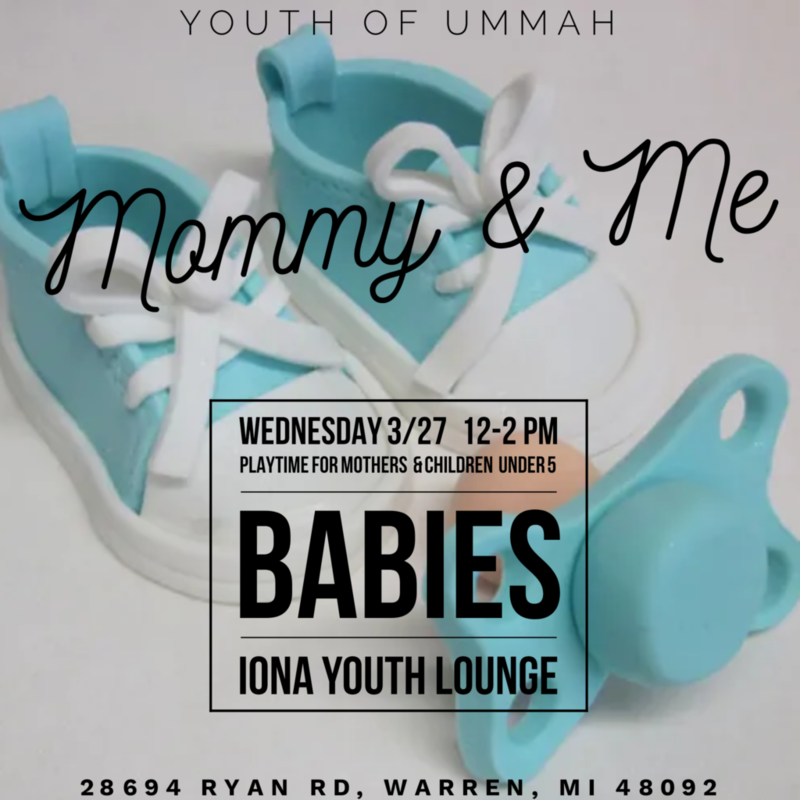 Youth of Ummah presents Mommy & Me Playtime. 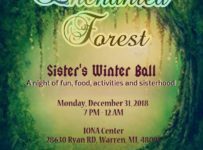 Come join us for a fun filled time and meet other moms in the community! 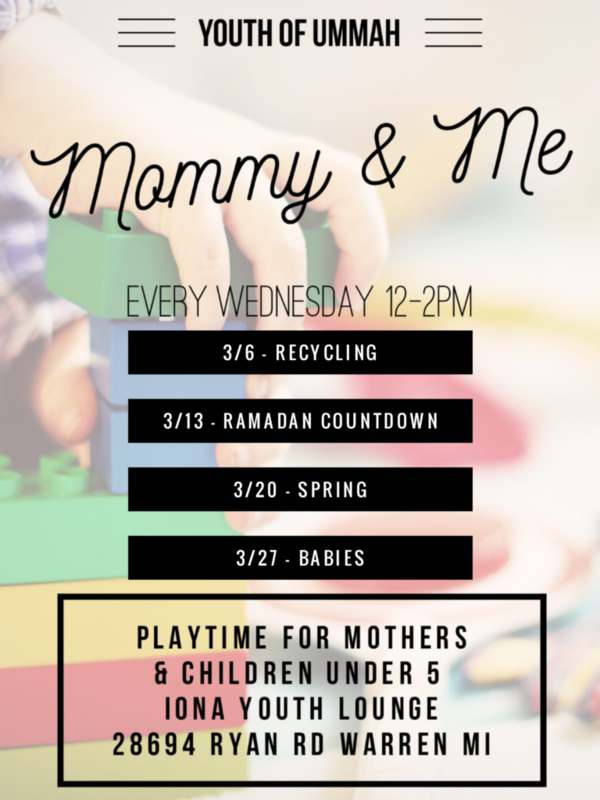 Art sensory, free play, songs, snacks, surahs, and more! 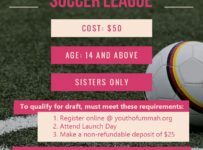 Suggested age for children are 0-5. 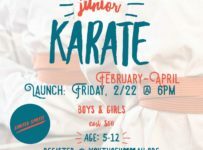 Parent must accompany children during the program. 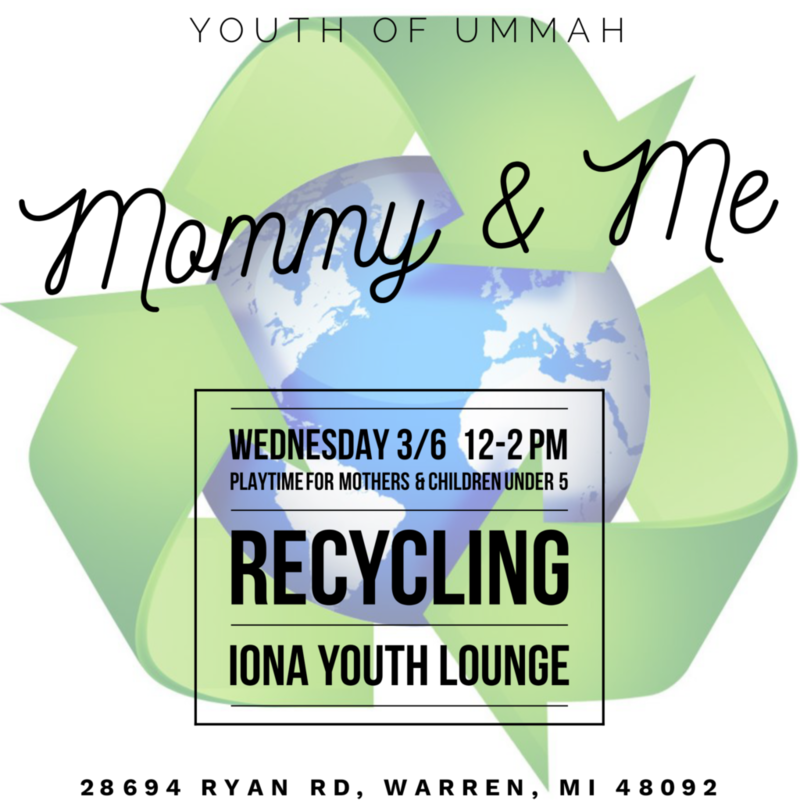 Starting November 1st every Wednesday 12-2pm at IONA Youth Lounge!